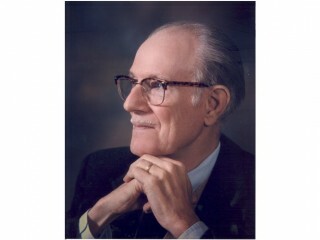 George Pake (April 1, 1924 – March 4, 2004) was a physicist and research executive primarily known for helping found Xerox PARC. Pake earned his bachelors and masters degrees from the Carnegie Institute of Technology and his doctorate in physics at Harvard University in 1948. George Pake was the originator of "Pake doublets" -- a technology that led to the development of modern magnetic resonance imaging (MRI) -- and the founder of Xerox's Palo Alto Research Center (PARC). As the founder of PARC he is credited with helping create many of the innovations that define modern computing, including laser printing, Ethernet, the graphical user interface, and client-server architecture. The success of the PARC group (which has generated over $70 billion in revenues for Xerox) eventually led many other companies to emulate Pake's management style, an approach that allowed creative input from a carefully selected team of research professionals and which used funding incentives to steer research. Much of Pake's insight was gleaned from his own earlier experiences in research and administration. Pake's doctoral research at Harvard University not only generated the breakthroughs that paved the way for MRI technology but it resulted in his first published scientific paper. The paper was so frequently referenced (between 1961 and 1981 alone it was cited 435 times in the work of other scientists) that it earned him a "Citation Classic" award, a rare and prestigious honor. In 1952, still only 28 years old, Pake became chairman of the Washington University physics department in Saint Louis, serving until 1956 when he left to teach physics at Stanford University. Pake taught at Stanford until 1962 when he returned to Washington University as both professor and provost. He eventually rose to vice chancellor and is credited with helping to build the university into an internationally known facility for science and medical teaching and research. Pake worked with PARC from its founding in 1970 to 1978 and for Xerox until his retirement in 1986. He then founded the Institute for Research on Learning. IRL approached learning as a social activity and Pake sought to develop hands on learning experiences to teach math and science to youngsters. In 1991 he was named Director Emeritus of the Institute. He has published three books and dozens of research articles and papers. Among the honors awarded him was the National Medal of Science, awarded in 1987 by President Ronald Reagan for his commitment to "creative excellence in support of institutional purpose." View the full website biography of George Pake.